Have you found an online vendor selling Owney's Overproof? For a clear rum, very drinkable straight even at 130proof / 65%abv. Lemongrass notes with a nice burn. 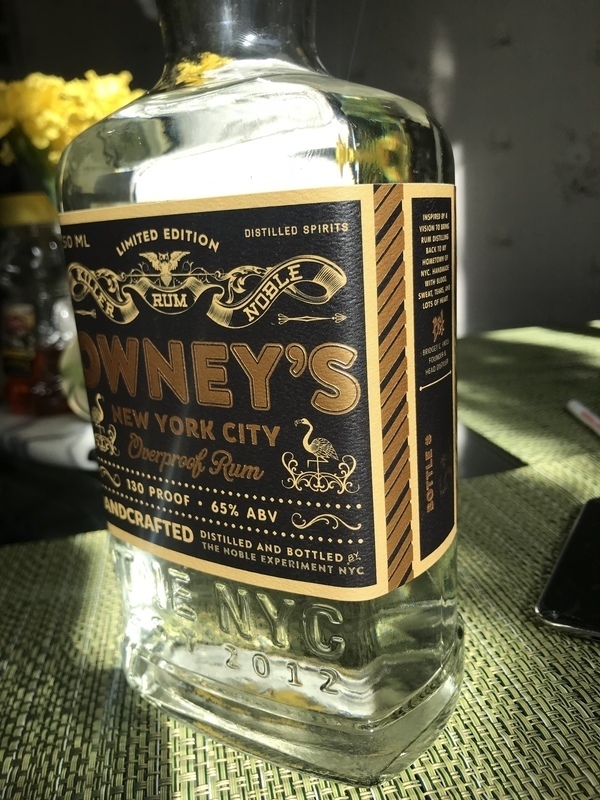 I'd never heard of Owney's New York City Rum before I tried this one. Indeed, their website doesn't even list the rums they produce, much less offer any information on them. American craft rums seem to be rather hit-or-miss, but this is one of those whose product measures up to its design—it's a solid experience through and through. Based on the only retail description I could find, this is a molasses-based rum that is slow-fermented, pot-distilled, and bottled at 65% ABV. There is no age statement to be found on the bottle or online, but chances are this is a very young rum. Owney's also make an 80-proof "Original" rum from the same distillate; that's actually the one I ordered, but they couldn't find the bottle, so gave me the Overproof instead. I'm glad they did! Despite its presumed youth and high alcohol content, it's surprisingly mellow and cool. But thanks to their distillation techniques, it's just full of flavor. Not caramel-vanilla-sugar flavor, but pot-still funk. Mushrooms. Dunder. No off-putting high notes. For 130 proof, it's surprisingly sippable! If I owned a bottle I might use it equally as a funky American sipper, as well as a high-end mixer. I hope the producers stick to it and expand production and distribution. I don't know if I could afford an aged version of this juice, but I'd sure want to try it! Great job.